VeteransAir is made possible each month through the generous donations from EMW Productions, LLC helping veterans start and fund their businesses for more than 25 years. Texas Grace Photography - Personal Portrait Photography for over 20 years. Don't forget our friends at the Outlets at Conroe! Stoplight: Catherine Fallis aka grape goddess© : wines for the holiday! Stoplight: The Electoral College by Dawn Stone & Citizenship Study Guide by Pete Koch. Dangerous Dan's birthday and where to be for Veterans Day. This month we finish our series on citizenship & voting with a review of the Electoral College by Dawn Stone and Pete Koch's Citizenship Study Guide. This month we talk to local sensation Cheyenne James and play the title cut to her new album. We'll continue on with our series on Citizenship & Voting and talk about where to register this week so you can vote next month. This show's title sponsor: Cypress Cove Marina & Cabins Don't forget our friends at the Outlets at Conroe! This month we talk about ways to become a U.S. citizen and voting in general elections. Check out PatrioticRestoration.org bringing patriotism back to the classroom. This month we talk about the Declaration of Independence, cover what's happening in the news and events in Montgomery County. This month we interview with Tom Yeats of Patriotic Restoration and talk about recent Tri-Care changes followed by June Events in Montgomery County. This month we talk to Singer/songwriter Sailor Jerri and debut her new album. We also discuss the attacks on our 1st Amendment rights. We talk about the upcoming Americans for America March on April 14th. This month we celebrate DouglasB's birthday with free cake and talk about Gun Control and the 2nd Amendment. 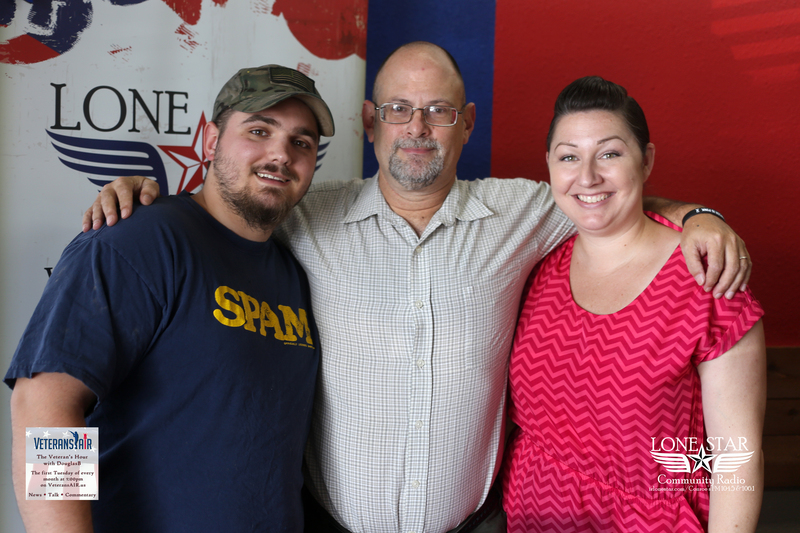 We have a special "shout out" to a veteran battling Leukemia and DouglasB brings his AR-15 into the studio! This month Tonya from BitterGlitter.us joins us to talk about resources and support for female veterans what they are, where to find them and what more is needed. Dan and Doug talk about what the Trump Presidency has done for veterans since January 20, 2017"
This month the American Legion, Post 411 will hold the 2017 Heroes Holiday Harvest on December 9th, 2017. The event sponsored by EMW Productions, Cowboy Kia, Outlet @ Conroe, K-star Country, Lone Star Community Radio and more." 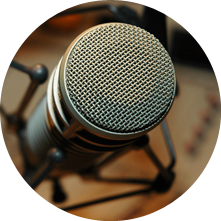 This month we talk to Dan Mabry of WorkForce Solutions and the "Hiring Red, White and You!" We talk all things Veterans Day and give away 4 tickets to the Grand Movie theater! This month American Legion, Post 411 2nd Vice Commander Jim Anderson & the NFL. We present the 2nd part of our 4 part series How to build your "Super Storm Survival Kit." This month we talk about the relief efforts of both the American Legion in Conroe and VFW 4709. We also start the 4-part series on How to build your "Super Storm Survival Kit." Join us and our friends at the 3rd Annual Great Conroe Hot Dog Give-a-Way co-sponsored by Storage 105 & Mail Store. We were LIVE at the event broadcasting from the Tejas Bingo Center. If you missed is then come get involved at www.AmericanLegionConroe.org! A review of President Trump's proposed 2018 budget and how it affects the VA. After rehiring the the head of the VA in Porto Rico it's well past the time to hold the VA accountable. 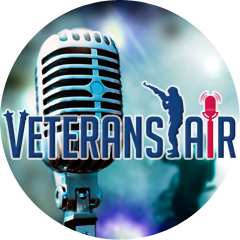 Interview with Sailor Jerri and the radio debut of the Veteran’s edition of Hallelujah by Sailor Jerri, the history of Memorial Day and upcoming events. This month we reconvene the Blue Ribbon Panel of Dysfunctional Veterans and take on CDB Oils!! This month we're talking about New Year's Resolutions for America and what/who we lost in 2016. This month we're talking about the Electoral College with scholar Gary Hippensteil! This month we're talking about upcoming Veterans Day and the Commander of the American Legion, Post 411. This month we're talking about the USS Lexington Museum and we have with us F.W. “ROCCO” Montesano the Executive Director and M.C. “RUSTY” Reustle Operations & Exhibits Director. also we have the debut of Dangerous Dan's Commentary. He'll be talking about women combat. This month we're talking about 9/11, Patriot Day and what is means to be patriotic. Commander Stewart of the VFW 4709 joins us in the studio to tell us about what events his post has going on and Dan and I argue over Common Sense Fork Control! This month we are spotlighting Darlene Gregory of EMW Financial who is going to tell us what it takes and where to find resources for vets wanting to start their own business or needing working capital to expand their businesses, buy equipment or commercial real estate. Our commentary this month will be cop killers, Black Lives Matter and that thin blue line. The American Legion is in the Spotlight this show and we take up the cause of SFC Martland! The Legion meets the 2nd Tuesday of each month at 7:00pm at Ryan's Restaurant on Loop 336 North in Conroe.